Republicans have always had a celebrity problem. The entertainment industry at large is not especially kind to those who don't hold fast to a leftist mentality. If anyone within that arena dares to not only possess but vocalize a differing view, they are quickly ostracized for their minority opinions. Due to this continual pushback from well-known stars and at times, their adoring fans, the GOP has always been greedy for celebrities they can call their own. To some extent, this desire is understandable. But in many other ways, it reveals a willingness to bend to the superficial temptations they have decried for years. On Sunday, when pop star Taylor Swift announced her intention to vote for at least two Democrats on midterm election day in a post on Instagram, a fair number of Republicans scoffed. After all, what does she know? Her status doesn't automatically bestow political wisdom or any groundbreaking insight. Her voice just happens to be elevated to a level of prominence few people will ever know. And when she talks, people listen. 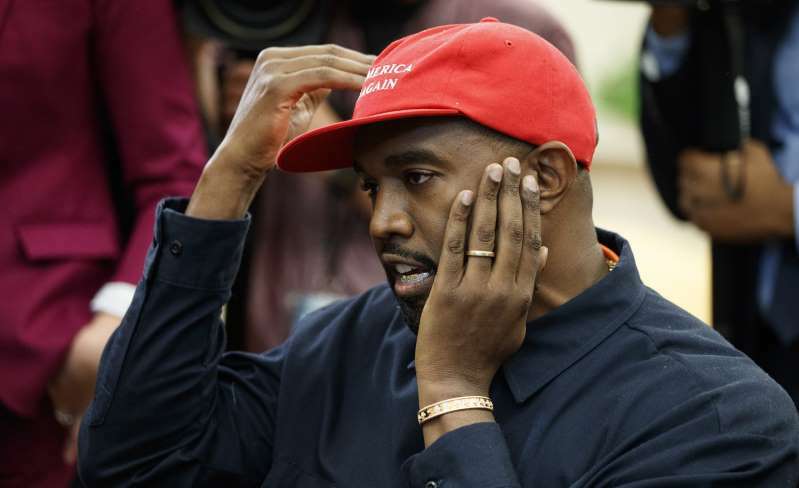 Thursday afternoon, the controversial rapper Kanye West met with President Trump at the White House to discuss, among other things, criminal justice reform. West's lengthy and sometimes meandering diatribe in the Oval Office included talk of America as a center for prosperity, his hometown of Chicago, and how the lives of black Americans in inner cities could be improved. As usual, he was very passionate. In response to his visit, the Left tore into Kanye. Don Lemon of CNN called the meeting "a minstrel show." On Twitter, Donna Brazile said, "Kanye West has set us back 155 years." At The New York Times, a young, black, female editor named Tariro Mzezewa published, "I Loved Kanye West and Hated Taylor Swift. Then 2018 Happened." Those who thrive on hating the president are eager to deride Kanye West for his willingness to meet with him. In their minds, just engaging in dialogue is akin to betrayal. As a black celebrity, he is supposedly selling out. On the other hand, the same Republicans who have consistently dismissed celebrities who place themselves within the center of political discussion are falling all over West for his adherence to the MAGA mindset. Although the GOP won't readily admit it, the fixation on celebrity is just as much a part of identity politics as race, gender identity, sexual orientation, religion, and social class. While the Right has spent years criticizing the latter, they quickly adopt the former. There is a tendency to immediately accept anyone with a measure of fame, who dips their toe in the Republican side, as some sort of role model for the cause. This comes off as desperation as they say, "Look! Celebrities like us, too." Though Democrats will always dominate the area of celebrity-driven appeal, the GOP wants to feel as if they are on the same playing field. But does Kanye West contribute anything of substance to the conversation or are Republicans just thrilled to have a famous friend in their corner during the contentious Trump years? Other than causing the Left and the media to squirm, West offers very little sober thinking that we should praise. He isn't a conservative and more often than not, bypasses concrete ideas in favor of odd, spotlight-grabbing, headline-making soundbites. Personally, I feel the same about Kanye as I did before he became devoted to Trump: his music isn't my style, he loves to be the center of attention, and he's always about self-promotion. Many on the Left who once embraced him (remember how he blamed Bush after Hurricane Katrina?) have now changed their tune. Conversely, too many on the Right nearly trip over themselves to embrace his celebrity simply because he is friendly with the 45th president. I'm sorry, that's not enough. We'd all be better off if we began to view celebrity endorsements of the political variety as meaning next to nothing. Other than the additional, fleeting attachments of fame and fortune, they're insignificant. We should applaud titans of entertainment when they use their power to improve the lives of everyday Americans, but that's another matter entirely. Praising independent thought is one thing, but Republicans should reject this tendency to fawn over fame.